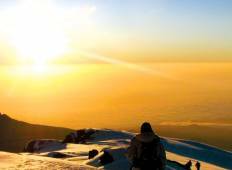 See the top Cultural trips that go through Mt Kilimanjaro National Park, Tanzania. With 54 tours to choose from, they range in length from 3 days to 20. The most popular month for these tours is July, which has the most departures. "From Amos greeting us at the Kilimanjaro airport, to Guides, and all of the porters..."
"Breathtaking Kilimanjaro Climb, Dec 13th I had planned a Tanzania trip. 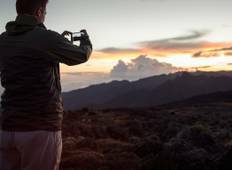 This was..."
"Actually, On 13th of Dec I booked Kilimanjaro mount trekking via Machame Route with..."